Being a mentor is a difficult responsibility. There are many areas of uncertainty and ambiguity in guiding your mentees along their journey towards medical school. Here we will attempt to give you the tools necessary to be the best possible mentor and teacher to your pre-medical student mentee. How can I be a good mentor? What qualities should I aspire to? 6.Are also interested in your personal and professional growth. What are some common questions I may encounter as a mentor? What classes do I have to take to get into medical school? What kind of grades do I need? Do I have to major in a science to apply for medical school? What if I’m not doing as well as I thought I would in my classes? Should I take ____ class being taught by Professor ____? When should I apply to medical school? How many schools did you apply to? Is it okay to take time off between graduating from undergrad and medical school? What score do I need on the MCAT to get into medical school? Are there test-prep classes I can take? In Hawaii, only Kaplan offers in-person test prep courses. To help with funding, the Associated Students of University of Hawaii (ASUH) offers a ASUH Test Prep Scholarship that awards up to $750. If student is in the Honors Program, they also offer an Honors Program Test Prep Scholarship that provides full coverage for a Kaplan course of their choice. If students ask about the MCAT 2015, please redirect them to the UH Manoa Pre-Health Advising Center (PAC). Also, MSMP will be holding a seminar about it later this year. What type of extracurricular activities should I look for? Do I need to have medically-related experiences? Do I need to do research to get into medical school? What is PBL? Do you enjoy it? What made you decide to apply for/attend JABSOM? What are some “good” ways to engage with my mentee? What if my mentee is unresponsive? Send them an email, text or call them to see how they are doing. While it is their responsibility to contact you, it is nice to reach out as well. Some mentees may be nervous, shy or may be undergoing some difficulties in their lives. Alert MSMP! We can reach out to your mentee as well. Ask for a new mentee: we always have a waitlist of eager mentees. If your contact attempts have failed, we will pair you with a new mentee. What if my mentee asks me a question I don’t know how to answer? Where can I direct them? Where can I educate myself as a mentor? Your job as a mentor is not to act as a decision maker for your mentee. While you can act as a guide you should not be directing your mentee on exactly what to do at each step of their journey. You can facilitate a discussion to explore their values and goals. You can also inform them of your experiences and share your opinions regarding what may need to be done in order to realize their goals. In doing so help you can them to come to their own educated and informed decisions or conclusions. First of all, please see our FAQ on academic/professional advising centers. Most if not all of the major universities in Hawaii will have an advising center or contact person. If not, the UHM premedical advising resources are available to ALL students of Hawaii, not only those students attending the University of Hawaii. MSMP works hard to maintain an up-to-date list of resources for mentees. The left sidebar of our website is dedicated fully to mentee resources. Through our FAQ format, we provide a number of links, useful files and advice from mentors regarding various subjects in the pre-medical journey. We also provide a regular advice column titled the MSMP Pulse. This column offers advice from MSMP Board members regarding various topics in the medical school application process. Lastly, mentees are also free to pose questions to the MSMP board directly through email (msmp@hawaii.edu) or through our public MSMP forum found at the top navigation bar of our website. 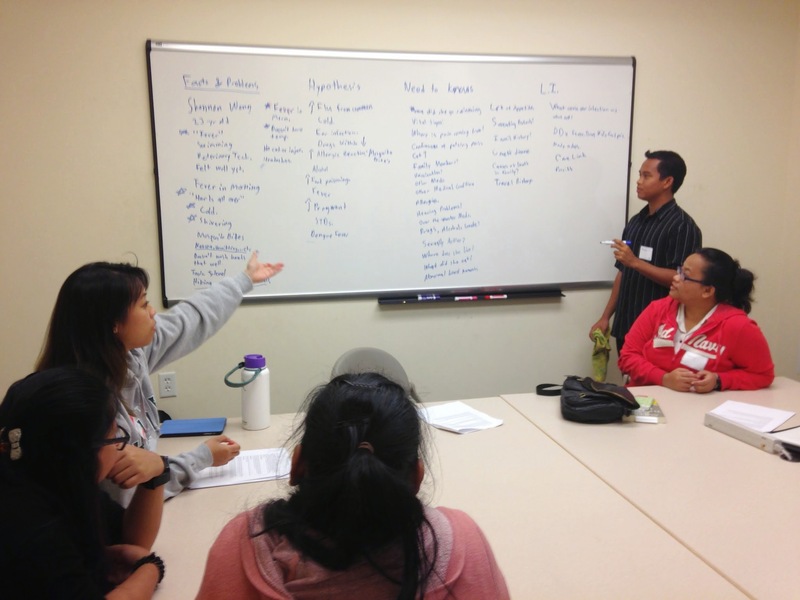 What advising centers or academic resources are available in Hawaii? Open to all students – including non-UHM students – interested in medicine (and other health professions). They accept both walk-in and scheduled appointments. Services provided: academic planning, career exploration, personal statement review, mock interviews, information about post-baccalaureate program options. Open to any students affiliated with the University of Hawaii. Staffed with writing consultants (usually current Master’s or PhD student in English) who will help you with the writing process. They accept both walk-in and scheduled appointments. requisite courses needed for medical school). Provides seminars on learning strategies, American academic skills (for international students), and tutoring for biology, chemistry, math, and physics (availability of pre-requisite course tutoring not as extensive as learning emporium). Availability: Depends on available tutors, but usually open Monday – Friday. I’m not really familiar with the clubs and other pre-medical activities in Hawaii. Where can I find out more about this? Please see the mentee resources on the left sidebar of our website. We include links to a range of activities, clubs, and opportunities for mentees in Hawaii and on the US mainland.